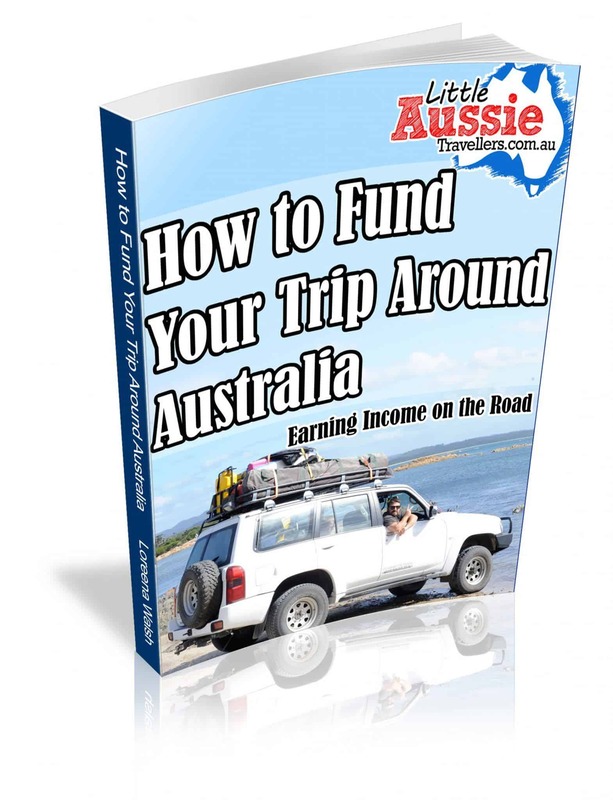 Make Money While Travelling Australia – How to get Income. So you want to travel Australia, but you’re not really sure you can afford it? Wondering how to make money on the road? How to finance a travel lifestyle? As scary as it may sound to leave the security of a job behind, (is any job really secure though?) The reality is with a bit of flexibility and willingness to try new things, almost anyone can find work while travelling Australia. While there’s always options to try and learn new skills when living on the road, the first option is to use what you know to gain employment. Almost everyone has skills that they can use to earn income while travelling Australia. Whether it’s life skills, business skills, a trade, or in demand qualifications, finding work is just a matter of being entrepreneurial or knowing where to look. For workers such as electricians, plumbers, builders, painters, mechanics and similar industries, establishing yourself with a business ABN, suitable insurance cover, business or trade licenses that are recognised in the state you’re travelling, and the necessary tools to carry out work as you travel are essential preparations. Other industries that allow you to take your skills on the road include things such as hairdressing and beauty services, food and hospitality services, office and administration, teaching, nursing and health services, farming skills and much more. How to Find Work While on the Road? Advertise: One of the easiest ways to find work when travelling, if you have a skillset that allows you to work indepenently for yourself is to advertise that you’re available. Have professional signage made for your vehicle, or even caravan so that people know what you do when they see you. This works especially well for industries such as mechanical trades, but also for hairdressers and beautcians who might be able to service other travellers. If you’ll be in town for a while, consider noticeboards or even the local paper to get your name out. Act professionally: Have a business card, professional resume or portfolio. At least one of these will be useful no matter what industry you work in. Ask: You might be surprised just what work is around that you can find out about simply by asking. If you have skills in hospitality speak to pubs, clubs, restauarants, motels, caravan parks, or any other business your skills may be useful to. Many places do not advertise, but are often on the lookout for casual staff. Always have a resume or portfolio ready if necessary, and let the business know how long you’ll be staying in their region for. Use Employment Agencies: While many travellers prefer not to use agencies, they can be a great starting point for getting some idea about the types of work that are readily available within a region. It never hurts to ask, and even if they don’t have anything that currently suits you they may have leads for you to follow in your pursuit for work. Word of Mouth: Don’t forget to ask other travellers you meet where they’ve been able to find work while travelling. This works well with industries such as farming, fruit picking and hospitality. Always try to get a contact name if possibly and write down the details ready for when you arrive in the same area. Newspapers & Internet: Don’t forget to check out local newspapers, or online job sites ahead of your arrival and while you’re enjoying your stay in an area. If you have a hobby or income it’s often possible to turn your passion into a money maker. While it may not lead to extreme riches, many travellers find that by creating and selling goods or services it allows them to travel for longer and further than might have otherwise been possible. If you enjoy sewing clothes, knitting and crochet, writing, toy making, painting or any other large number or hobbies, it’s easy to get started selling your creations. There are websites such as etsy and madeit making it easier than ever to share your creations with the world, and local markets are for the most part inexpensive to set up at, and can open you to meeting new people and making a little extra cash at the same time. The reality is, that while you may not always land in your dream job while travelling, being willing to be creative and flexible with how you work and in what industry or position, can allow you to live a dream lifestyle travelling Australia with experiences so few ever get to enjoy. I just wanted to know the liklihood of finding work on the road with a child in tow. What kind of work am I able to do as a single Mum? Being a single mum will definitely mean a little juggling, but it’s possible. My advice would be that as long as you have a laptop and access to internet that you could find work that you could do remotely. Look at sites like http://www.odesk.com or http://www.freelancer.com where people from all over the world require help with tasks. If you have skills such as writing, graphic design or web design etc, then there’s always work available. Other than that, depending on the age of your child, some caravan parks will offer free or cheaper accommodation in return for help around the office and may be accommodating for a child to play quietly while you work. If you’re staying in an area and taking the slow travel option of staying in towns for as long as it feels suitable, then you may find yourself in an area long enough to get some part time work and occasional childcare. If you have experience with childcare or teaching, then a job as a governess or nanny, especially in remote areas and on stations etc. If you’re crafty, then making or creating and selling online via ebay, etsy or madeit or, selling in person at markets etc as you travel. I hope some of those ideas help, happy to answer any more questions. Good luck! I was wondering how I’d go finding work for a week at a time as a teacher whilst travelling around Australia? Are there any agencies that would assist with this? Also, I have 3 young children, do schools accept enrolments for a week or so? Hi Ricki, Sorry for the delay in reply. There tends to be plenty of teaching opportunities in regional areas and we’ve met a few teachers who stop and do stints. You’ll probably be more likely to do slightly longer than a week I’d imagine, but it’s a great way to integrate into the community and meet people and pay for more travel! Most small schools let kids join in, we’ve never heard of anyone being rejected!